Rob Long is a writer and producer in Hollywood. He began his career writing and producing TV's long-running "Cheers," and served as co-executive producer in its final season. During his time on the series, “Cheers” received two Emmy Awards, and two Golden Globe awards. Mr. Long has been twice nominated for an Emmy Award, and has received a Writers Guild of America award. He continues to work in film and television in Los Angeles. Most recently, he served as the Executive Producer and Show-runner of “Kevin Can Wait” starring Kevin James on CBS Television. 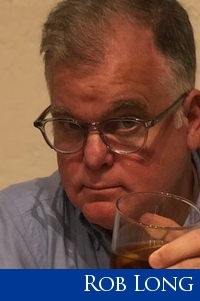 He is a contributing editor of National Review, and his weekly radio commentary, “Martini Shot,” is broadcast on the Los Angeles public radio station KCRW, and is distributed nationally. It’s also podcast in iTunes. His first book, Conversations with My Agent, chronicled his early career in television. It was published in the UK by Faber & Faber, in the US by Dutton, and in France by Actes Sud. His second book, Set Up, Joke, Set Up, Joke, was published in November 2005 by Bloomsbury. He is also a co-founding partner in Madison Road Entertainment, an integrated advertising production company. His most recent book is Bigly: Donald Trump in Verse, published in October 2017 by Regnery. He is a co-founder and co-editor-in-chief of the fast-growing Ricochet.com, the place for smart and stimulating conversation -- on the web and mobile devices – from a center/ right perspective. Mr. Long graduated from Yale University, and spent two years at UCLA School of Film, Theater and Television. He serves on the Board of Directors of My Friend’s Place, an agency for homeless teens in Hollywood and is on the board of the American Cinema Foundation and is president of the board of the Southern Foodways Alliance, about which more can be found here: http://www.southernfoodways.com/. Oh, and on Twitter and Instagram, he’s rcbl.